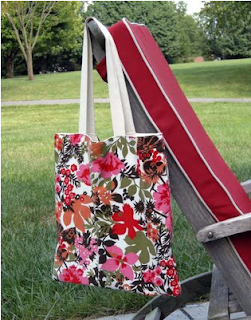 I came across this awesome tutorial today from Betz White; she shows you how to turn an ugly tote into something special in literally a few minutes. I saw some totes at the Dollar Tree yesterday and I know I can follow the instructions. Now I just need to find the right fabric. Thanks Betz! This would be a great first sewing project for a beginner.